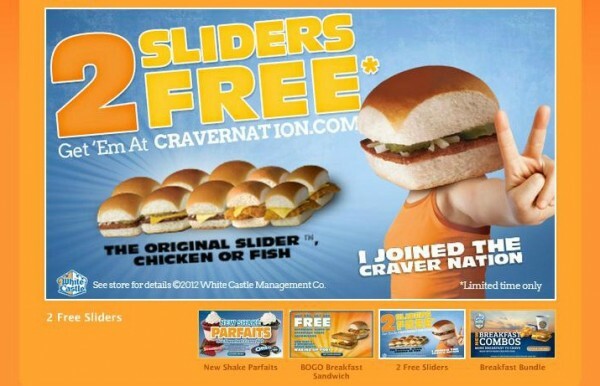 Join Craver Nation and receive two free sliders! Join Craver Nation and receive 2 FREE sliders! Have you ever tried a White Castle Slider? Established in 1921, White Castle was the first fast food hamburger chain, specializing in those little hamburgers that we like to call sliders. White Castle has recently become a national affair, and you can now purchase frozen White Castle sliders from your local grocery store! I know that here in Georgia, those White Castle sliders are a big treat at family gatherings and parties. Being that I’m not a huge fan of cooking, they are simply the perfect thing to put together when I have a group coming over and need something tasty to offer. 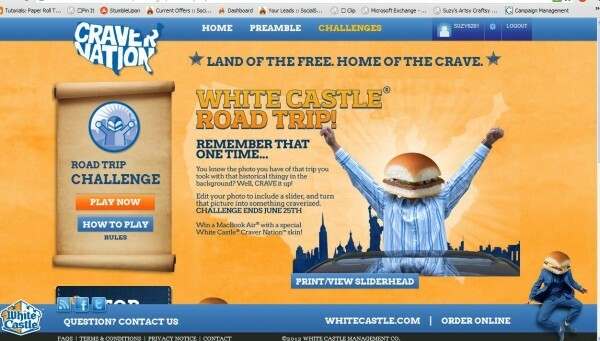 And right now, White Castle has some great challenges going on where you can win big prizes! Join Craver Nation! today and you will receive 2 FREE sliders just for joining! And then go check out the challenges! National Anthem Challenge (ending June 27th)- Write up your version of a National Anthem for White Castle and record it on video. You could win two concert tickets and a professional recording session for your anthem to be posted on Craver Nation.com! Road Trip Challenge (ending June 25th)- Use a photo of one of your vacations, editing in a slider somewhere in the picture. This one sounds like a blast! Winner gets a MacBook Air with a special White Castle Craver Nation skin! Enter now to get your free sliders and join in on the fun! All entries will be posted to the Craver Nation site, so you can see all the great photos submitted! Next post: Recycled Crafts – Faux Tin Tiles from Disposable Cookie Sheets!